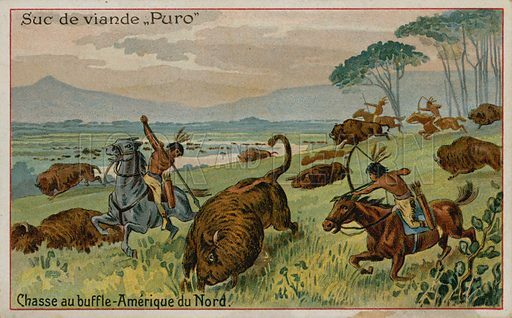 Hunting buffalo in North America. Puro card. Available worldwide for immediate download up to 5,075 x 3,153 pixels.